C121C Code - When the Antilock Brake System (ABS) Module indicates if engine management relevant for Automatic Yaw Control/Traction Control System can be accomplished. 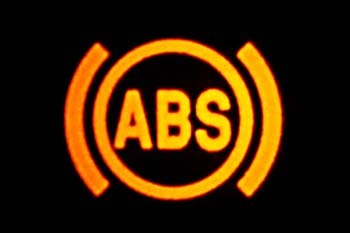 Default Action, the ABS indicator light illuminate. This DTC must be active for the results of this test to be valid and this DTC may set while driving under severe load conditions. Turn the ignition on, with the scan tool, read DTC. Read and record Environmental Data to help identify the conditions in which the DTC was set. With the scan tool, erase DTC, cycle the ignition switch from off to on. Start the Engine, with the scan tool read and record monitor ESP torque request status. Does the scan tool display C121C-Torque request signal denied ? Engine started, with the scan tool, read the Allow ESP Torque status bit. Was the Allow ESP Torque Request showing NOT set ? YES, replace the Powertrain Control Module (PCM), perform the Powertrain Verification Test. NO, replace the Antilock Brake System (ABS) Module, perform the ABS Verification Test. 0 Response to "C121C-Torque request signal denied "